My partner and I have been thinking about taking a 4 year old boy that we dearly love on his first trip to Walt Disney World. Being over 50 and never having raised children of our own, I decided it might be a good idea to get some tips. We enlisted our friend Beth, who has taken her Grandson Tyler, to share some of her insights with us. Here is what she had to say about taking a young grandchild to Walt Disney World, sans their parental units. I think four years old is a good age to start taking your grand-kids to Disney World. By four they are usually potty trained and pretty good at listening and following directions. We took Tyler when he was a three year old and he had a great time, but there were many rides he was too small to go on. The good news was, he didn’t know what the ride was or what he was missing, so he just moved on to the next thing. 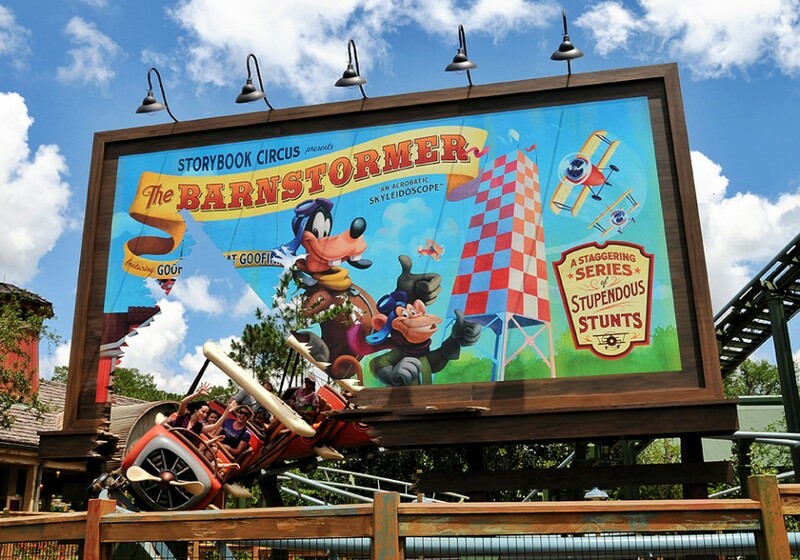 I think that anyone would say that the best park for young children is the Magic Kingdom, both for the characters that are recognizable to young children and for quantity of attractions that both young children and older grandparents can comfortably ride. The Animal Kingdom is great for all the animals, the Lion King Show and Finding Nemo, the Musical. Also, our little three year old loved the Dinosaur Dig playground at Animal Kingdom and had just as much fun playing, climbing, digging and running around in there as he did on any of the rides. How long you spend at the parks totally depends on your grandchild. To avoid tired and cranky meltdowns (theirs and yours! ), I always suggest having a light breakfast in the room and getting an early start in the parks (while the crowds are light). You can play in a park for a few hours, have a light lunch then head back to the resort for a swim and a nap. This gives everyone a chance to cool off and get recharged. 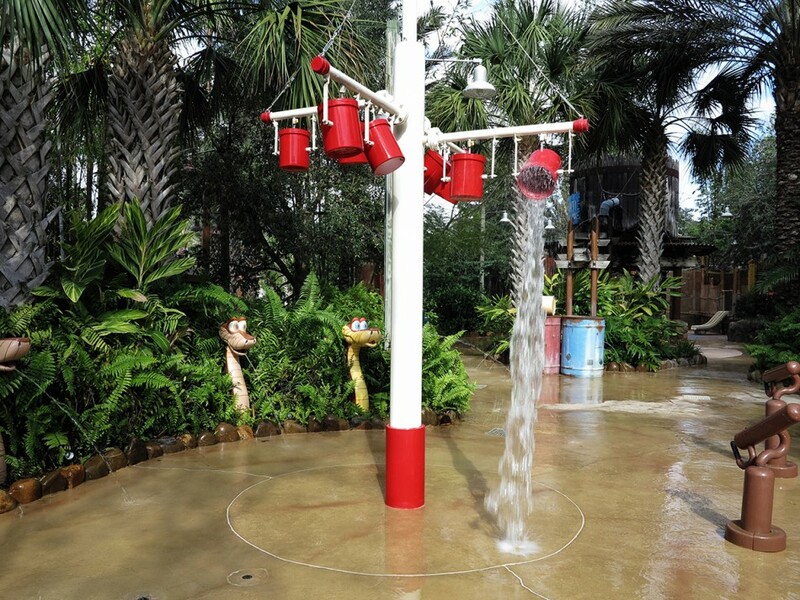 Depending on the child, your stamina and the heat index, you might head back to a park after a nap or you might decide that more time at the pool or one of the water parks would be the best way to spend the afternoon. After an afternoon rest and when the temperatures are cooler, you will be refreshed and ready to go visit another park or go back to the one you were at earlier to see the things you missed. If your grandchild starts to get really whiney after an hour or two, it might be time to head back to the resort, even if you haven’t seen much of the park. Don’t be tempted to try to get as much bang for your buck as you can by staying too long. One or two good hours is definitely better than dealing with a tired and cranky child for a whole day. It’s better for everyone around them, too! It’s always good to have a little snack and a juice box for the kids, especially if they are used to snacks during the day. Bringing your own will save you a lot of money, as well as give you the opportunity to provide the healthy options you might want for them. There is not usually a need for extra clothes unless they are younger than four, or the weather predictions are for rain, which does often happen in the afternoon. Going to bed early is good and gives you the stamina to get up and start the day early. More often than not, we’re all in bed by 8:30 or 9:00, listening to Duffy’s Storybook Time on TV. When it comes to eating in the parks or resorts, unless you’re doing a character meal which can be really fun for the little ones, I suggest using the counter service restaurants. The younger kids just don’t have the attention span and patience to sit for a couple of hours waiting to be served. 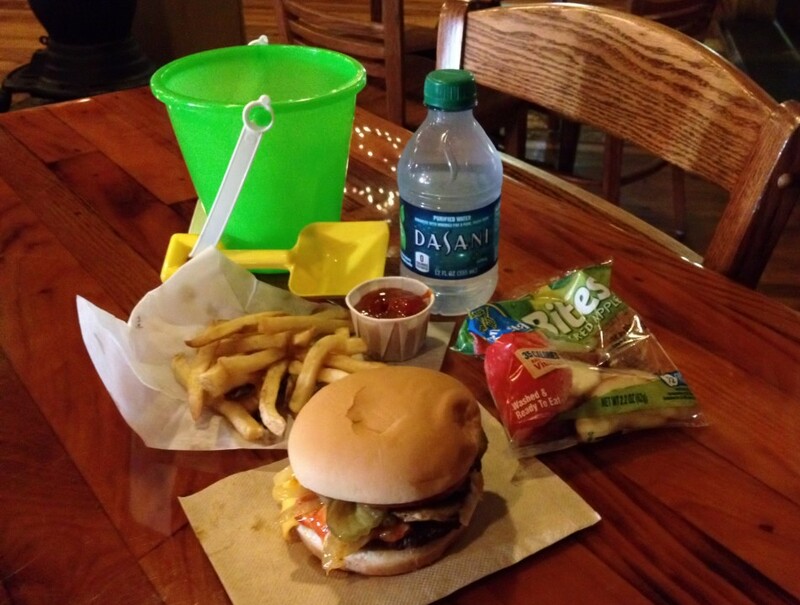 At Restaurantasaurus in Animal Kingdom, the kids meal even comes with a bucket and shovel to use at the Dig Site. I would try to plan a trip to Disney parks around slower times of the year; before or after the holidays or mid-winter are often good times. There are less crowds and less waiting, which makes it easier and more fun for everyone. If at all possible, avoid the summer heat. High heat, humidity and sudden summer storms can quickly change a happy child into a little cranky pants. As far as where to stay, nothing beats Bay Lake Tower for its close proximity to the Magic Kingdom, which is by far every child’s favorite park. When break time comes around, it’s an easy walk back to the resort. The Villas at Wilderness Lodge are also good for their proximity to Magic Kingdom and it’s fun to be able to take the boats back and forth to the park. Wilderness Lodge also has boat and bike/surrey rentals as well as fishing, hiking, a great playground and the various activities at Fort Wilderness right next door, like Mickey’s Backyard Barbecue and Chip ‘n Dale’s Campfire Sing-A-Long. My next choice would be Boardwalk Villas or Beach Club Villas because you can walk to Epcot from both (and even walk to Hollywood Studios from Boardwalk Villas). Not having to wait for a bus at the end of a long day is priceless! 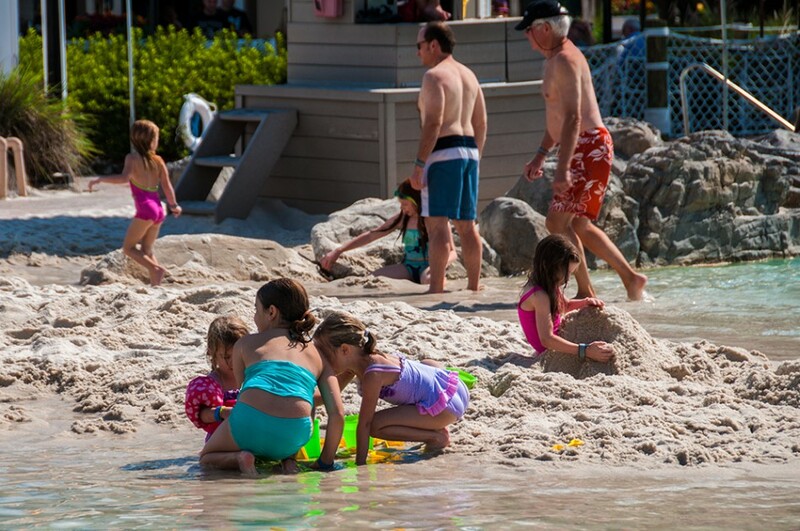 Stormalong Bay, the pool at Beach Club, is perfect for little ones – they can play in the sand for hours. If you are driving, and want to “get away” from it all, I would strongly encourage you to try Old Key West. It’s a very laid back resort which is, sometimes, just what you need after all the stimulation from the parks. 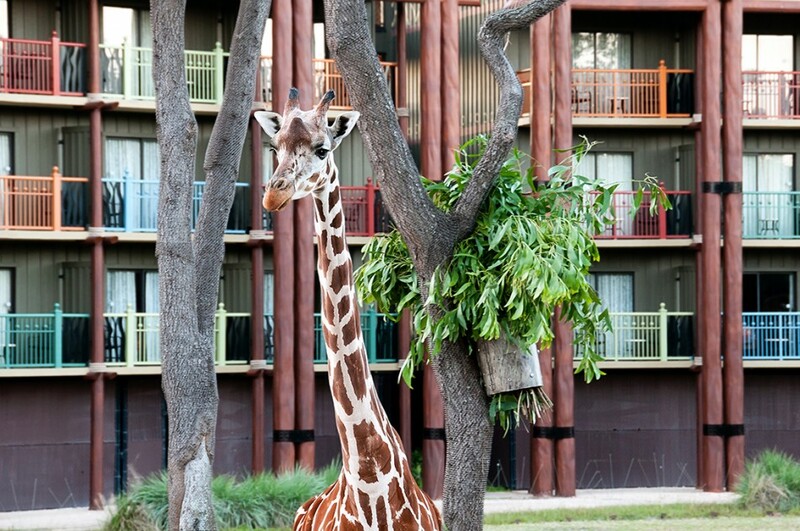 Animal Kingdom Lodge is also great because of the animals and it also has wonderful pools, a fantastic splash zone and a great playground, which our little Tyler just loved. The size and type of room to get all depends on your budget. I highly recommend nothing smaller than a one bedroom, if you can swing it. In a one bedroom you can give your grandchild the sofa bed and then you can retreat to the bedroom for your own quiet time. The best case scenario would be a two bedroom, so your grandchild has his/her own sleeping space. Depending on how long you are there, it’s possible that both you and your grandchild might enjoy a break from each other. Disney does have childcare available in various forms. In-room childcare is provided by Kid’s Nite Out. They offer group rates, as well as “mother/father helpers” who can just hang out with your family if you need an extra hand. There are also Children’s Activity Centers at some of the resorts. 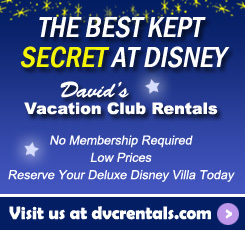 You needn’t be staying at that particular resort to access them. They are usually open from late afternoon to midnight. You can get more information about both options here. Be sure to take care of yourself. Spending long days with young children is tiring, especially when you’re not used to it. Take lots of breaks, sit vs. standing whenever you can, drink plenty of water and remember to eat. Even if they don’t use one at home, a stroller is a good idea in the parks. Don’t feel like you have to go to the parks every day. 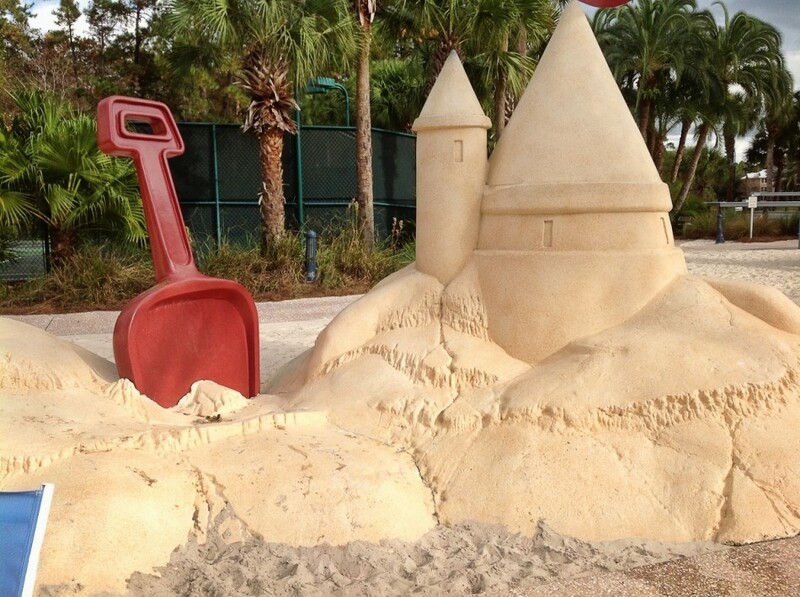 Young children are often just as happy to play in the sand or go get an ice cream. 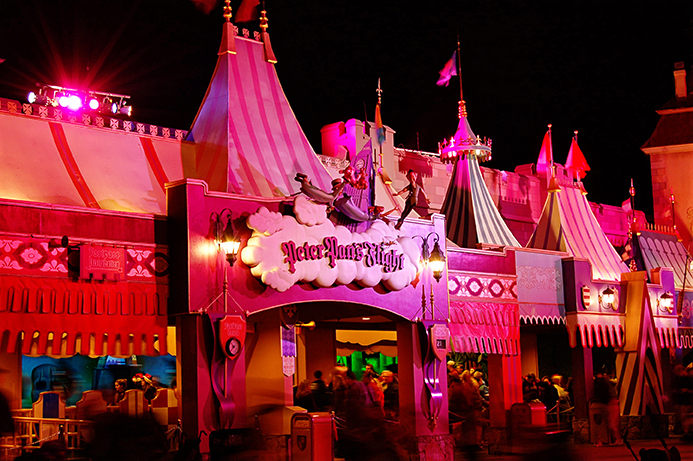 A relaxing non-park day in the middle of your trip may end up being your favorite day of all. Disney has tons of things to do outside of the parks and it’s all special because you’re at the most magical place on earth! Make sure you have all the papers you would normally need when traveling with children, especially if the parents are not along. It’s good to have a copy of their birth certificate, a copy of the medical insurance card and a letter from the parents giving you authority to make decisions in their absence. Lastly, before you even leave home, spend time with your grandchild watching some Disney movies. Not only is this a fun, bonding activity, it will help prepare them for what they will encounter in the parks. Don’t forget some of the older ones like Swiss Family Robinson or the Brer Bear stories so they can relate to those things when they are there. Talk with them about the movie and the characters they will see. It’s a good way to find out in advance what they might be excited about vs. what they might be apprehensive about. 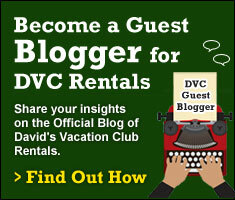 Thanks to Beth, I feel much more prepared to share the magic of Walt Disney World with our little friend. Can you think of anything she didn’t mention? I’d love to read any tips you have to add in the comments below. 6 thoughts on "Tips For Taking Your Young Grandchildren to Walt Disney World"
Danielle Myers, I’m sure a lot of this applies to DLand, too! Gonna be SO fun! I can’t wait!